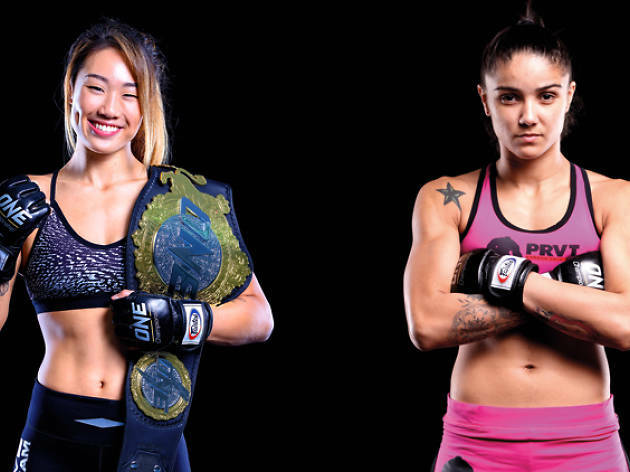 The return of ONE Championship at the Singapore Indoor Stadium shines a spotlight on two undefeated female mixed martial arts (MMA) fighters. MMA star Angela Lee squares off against Brazilian challenger Istela Nunes to defend the Women’s Atomweight World Champion title. Angela: Pankration, with skills in striking, grappling and cage control. Lee holds a black belt in Taekwondo and a brown belt in BJJ. Istela: Muay Thai. Nunes is known for her triple head kick knockout that went viral in 2016 against fellow Brazilian Karoline Moreira. Angela: 7-0. Five were by submission, including a ‘Twister’ – that’s a rarely performed move – against Natalie Gonzales Hills of the Philippines. Istela: 5-0 and one no contest. Angela: Current ONE Atomweight World Champion, two-time Pankration World Champion, Hawaiian Wrestling State Champion and Destiny MMA Strawweight Champion. Istela: Two-time Muay Thai World Champion. She defeated former ONE title challenger Mei Yamaguchi last August, proving her striking, takedown defense, and grappling skills. Want more action? Watch MMA fighter Angela Lee exchange skills with Red Tail Bar's head chef Meng below. Catch ONE: Dynasty of Heroes at the Singapore Indoor Stadium on May 26 at 7pm. $28-$2,140. Present your ticket stub before 1am to enjoy free entry to the official after party at Zouk.